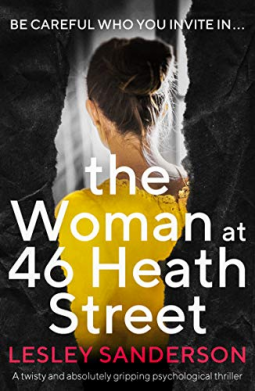 The Woman at 46 Heath Street by Lesley Sanderson is a twisty, fast-paced thriller that will catch your attention from the very first page. Isnt that the best kind of book? Im not a fan of novels that take forever to get into it. I want the author to drop me into the action right away! Can you imagine getting a note that informs you that your husband is having an affair? The last letter is addressed to me. No stamp, swirly handwriting in black ink. I pull out a piece of paper, stiffening when I read the message. Hands trembling, the note slides to the floor. Your husband is having an affair. How could he? Ella is justifiably upset but refuses to leave the house although her husband wants to sell it. She has just spent several months caring for her sick mother in law Nancy, and now that Nancy has passed, Ella refuses to leave. She ends up letting her new friend Alice stay there with her and right away I didn’t trust Alice. I don’t want to give too much away because you have to see how this unfolds for yourself! I love a good suspense novel that contains lots of secrets! 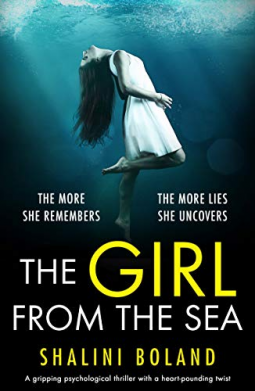 The Girl from the Sea by Shalini Boland is a must-read. At this point, Shalini could write pretty much anything and I would read it immediately. Every novel grabs my attention and doesn’t let go. From page one I was pulled into the story of Mia, a young woman who finds herself alone on a beach, shivering and cold, washed up from an accident she does not remember. She also has no memory of her life. The face in the mirror is unrecognizable, her home might as well belong to someone else. Her boyfriend? No idea who he is. How will she put the pieces of her life back together when she doesn’t have a clue about anything? While Mia tries to grab bits of her memories, she doesn’t know who she can trust. She knows someone was after her and the accident that led her to almost drowning was something sinister, not just an innocent boating outing gone wrong. When a woman’s body is found in the same area as Mia’s accident, police wonder if there isn’t a connection between the two women. Thats a question only Mia can answer, if she can regain her memory. Or was there another link between the women? This was a fantastic read! I loved the writing, the premise and the way the author keeps the reader engaged. 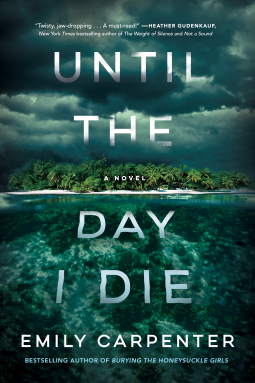 I started Until The Day I Die by Emily Carpenter last night and am hooked. She has a writing style that pulls you in right away and throws you into what’s happening. Erin’s husband has died and she’s barely able to hold it all together. She’s living in a world of grief while trying to stay involved in the app/tech company called Jax, she built with her husband and their two friends. Her daughter Shorie, an incredibly smart young college student, rather be home working at Jax than living the college life. She was always following her dad around and learning about the company, she probably knows more than Erin. She is frustrated by her mother and also very worried. Okay, that’s as far as I got and I cannot wait to read more! I wonder what’s going to happen next. I’m bracing myself for a breakdown from Erin that will send her away to this jungle. Told in a dual perspective, we see things unfold from both mother and daughter, which I like because it feels like the story keeps moving quickly. My plans tonight are a yoga session and then the rest of the night is for reading! In The New Me by Halle Butler, Millie works at a temp job with not too many awesome things happening. She is angst-filled, a little depressed and kind of lost. Millie is a bit of a slob, doesn’t care about how she looks or how others perceive her. I read the reviews which compared this one to My Year of Rest and Relaxation by Ottessa Moshfegh which I really liked but don’t think the two books are very much alike. There are lots of witty observations and I liked the authors writing style, but there were times I just wanted to grab Millie and give her a good shake! Come on girl, get it together! I’m still trying to make the dream possible: still might finish my cleaning project, still might sign up for that yoga class, still might, still might. I step into the shower and almost faint, an image of taking the day by the throat and bashing its head against the wall floating in my mind. When the possibility of a full-time job offer arises, it seems to bring the better life she’s envisioning – one that involves nicer clothes, fresh produce, maybe even financial independence – within reach. But with it also comes the paralyzing realization, lurking just beneath the surface, of just how hollow that vision has become. This is not a happy, feel-good book but one that looks at the darker, more depressing side of life! People are very split on it- some absolutely love it and others, not so much. 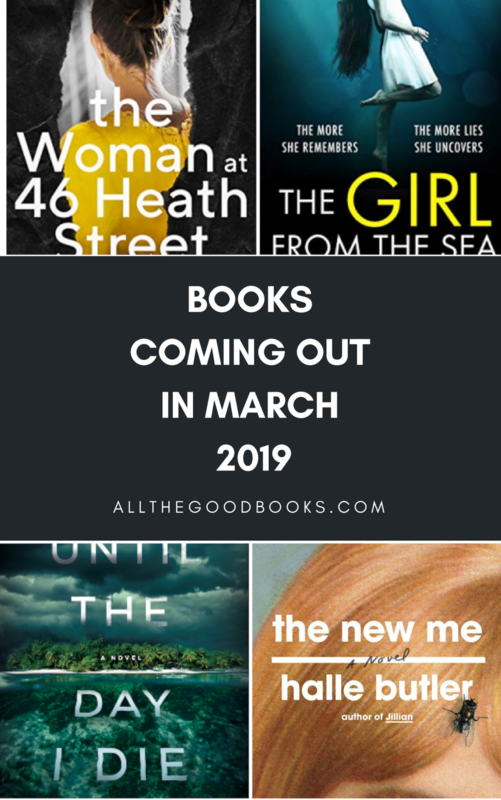 There are so many amazing books coming out this spring and summer, I can’t wait to review them as publishing dates draw closer!